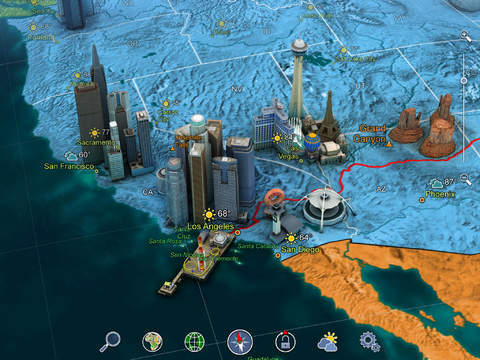 Only $.99 – Earth 3D-Amazing Atlas, an educational app about our planet. The interactive globe includes: a relief model of Earth, political and geographic maps, 1,400 geographic objects, and 330 wonders of the world. As kids explore the globe, they can tap on places or objects to learn more. Full descriptions are included as well as more than 900 photos. The app is very user-friendly – just a tap along the bottom to access its different features. One feature changes the map from a physical map to a political map. Another feature turns the latitude and longitude lines on. Kids can also click a button to turn on the weather. This app is full of great information! It would be a great addition to any classroom – perfect for projecting on to a Smart-board. Only $.99 – Earth 3D-Amazing Atlas, an educational app about our planet. The interactive globe includes: a relief model of Earth, political and geographic maps, 1,400 geographic objects, and 330 wonders of the world. As kids explore the globe they can tap on places or objects to learn more. Full descriptions are included as well as more than 900 photos. The app is very user-friendly – just a tap along the bottom accesses its different features. Kids can explore Earth by searching for a particular place. The app can be easily be changed from a geographic map to a political map. Latitude and longitude lines can be turned on. Kids can click a button to turn on the weather. The app is full of information! It would be a great addition to any classroom – perfect for projecting on to a Smartboard. 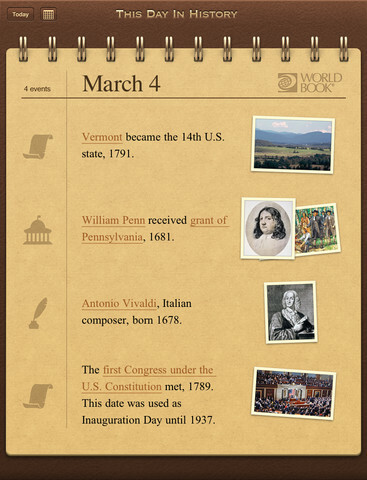 FREE – Wonderopolis, a fabulous educational app. 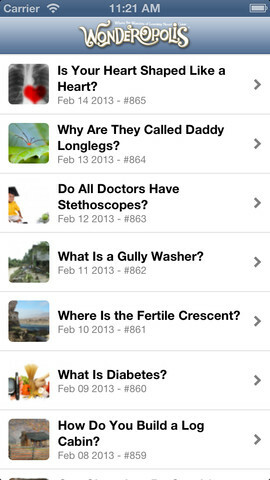 Now you can explore Wonderopolis (the website) with your mobile device. BrainPOP has been around for more than a decade as an educational website. 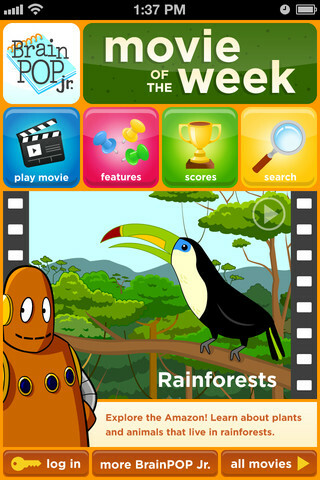 The site features short animated movies – hundreds of lessons that cover science, social studies, math, art & music, etc. The content is geared for grades 4 and above but I found that many movies were also suitable for younger students. When I was in the classroom, it was one of my favorite online resources. 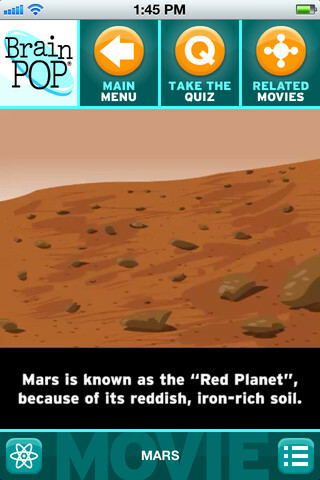 Teachers could add the BrainPOP movie of the day to their daily routine. Have your class watch it at a transition time – right before lunch, after lunch, while waiting for buses to called, etc. Interesting and educational! !